"She loves me; she loves me not. She loves me! " How could you NOT love this sensational ring? Teardrop-shaped, genuine green cat`s-eye gemstones are arranged in the form of a flower around a sparkling pave crystal center. 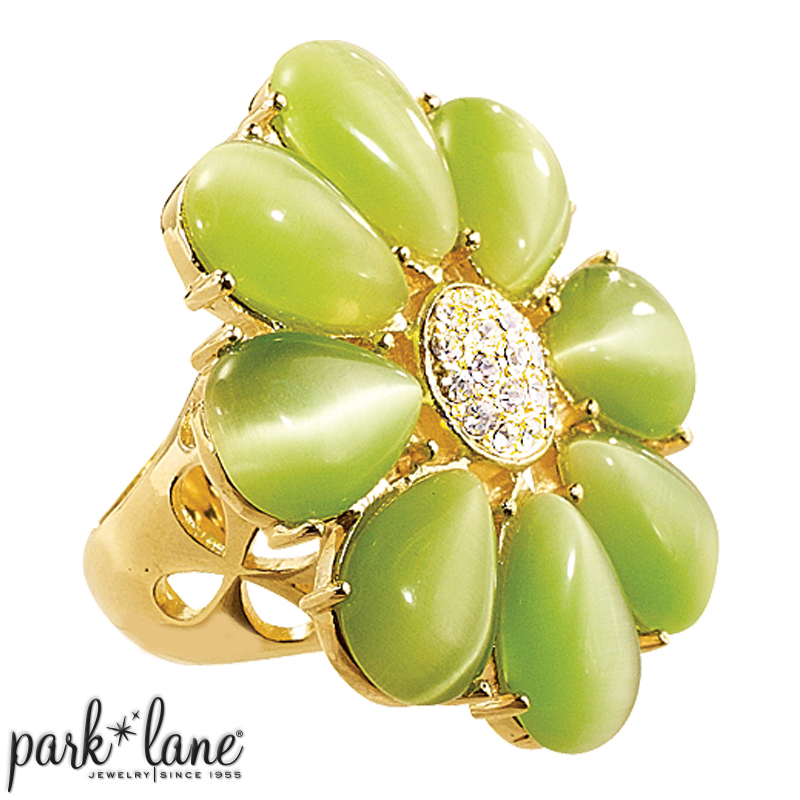 PALM BEACH ring adds a pretty pop of color to any outfit! Ring is available in sizes 5-10. A beautiful ring to wear with anything; particularly flatters, M`Lady, Jade, Wings, Signature-olivine, Shannon, Garden party ensembles.